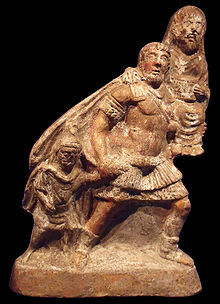 ^ "Persona Virgilli filii figuli, cui Stimichon nomen erat et Maiae sororis Lucretii. (lire : Jan M. Ziolkowski et Michael C. J. Putnam, The Virgilian Tradition: The First Fifteen Hundred Years, 2008, p. 278). ^ a b Zehnacker & Fredouille 2005, p. 138. ^ Gärtner, Hans H. (1979). Der Kleine Pauly. 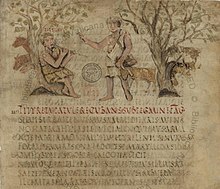 Lexicon der Antike in fünf Bänden. Munich. "Vergilius. * am 15. Okt. 70 als Sohn des V. Maro und der Magia Polla." ^ a b Zehnacker et Fredouille (2005), p. 144-145. ^ Horace, Odes, I, 3. ^ Horace, Odes, I, 24. ^ a b Zehnacker et Fredouille (2005), p. 138. ^ J.-Y. Maleuvre (1991). “Virgile est-il mort d’insolation ?”. L’Antiquité Classique 60: 171-181. ^ Avery, W. T. (1957). “Augustus and the "Aeneid"”. The Classical Journal 52 (5): 225–229. ^ Sellar, William Young; Glover, Terrot Reaveley (1911). “Virgil”. Encyclopædia Britannica. 28 (11th ed.). p. 112. https://archive.org/stream/encyclopaediabri28chisrich#page/112/mode/2up 2012年6月7日閲覧。. ^ Miller, F. J. (1909). “Evidences of Incompleteness in the "Aeneid" of Vergil”. Evidences of Incompleteness in the "Aeneid" of Vergil. 4 (11th ed.). 343. http://www.jstor.org/stable/3287376 2015年11月1日閲覧。. ^ Ruud, Jay (英語). Critical Companion to Dante. Infobase Publishing. p. 376. ISBN 9781438108414. https://books.google.com/books?id=Hqc5tXPUjI0C&pg=PA376 2016年11月23日閲覧。. ^ Les œuvres de Virgile traduites en prose: enrichies de figures, Rome, 1649, p. 142 : Quelques-uns entendent Mécène sous le nom de Stimichon".